Mirror, Mirror On the Wall— Who’s the Villain After All? Neil Gaiman’s chilling retelling of the Snow White fairytale, Snow, Glass, Apples has been gloriously adapted by Colleen Doran, who previously adapted Gaiman’s award-winning short story Troll Bridge. From the Hugo, Bram Stoker, Locus, World Fantasy, Nebula award-winning, and #1 New York Times bestselling writer Neil Gaiman (American Gods, Neverwhere, Coraline, The Graveyard Book, and many others) comes this graphic novel adaptation by Colleen Doran (Sandman, Troll Bridge)! 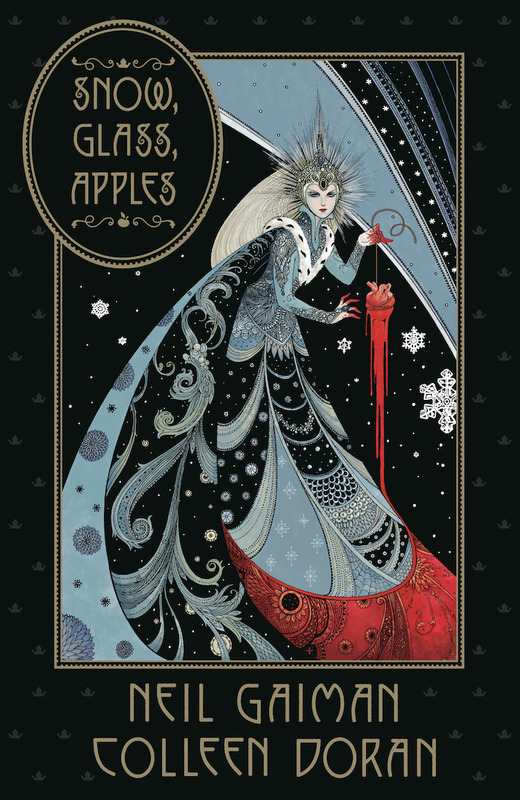 Snow, Glass, Apples comes to you in a beautiful hardcover format and is an essential addition to the Dark Horse’s Neil Gaiman library program.